These food description cards made for another party were a little more complicated and time-consuming than the ones in the last post, but well worth it! I used the template from Paper Source's Butterfly Kit (reduced a little bit), brown floral wire and solid-colored paper. 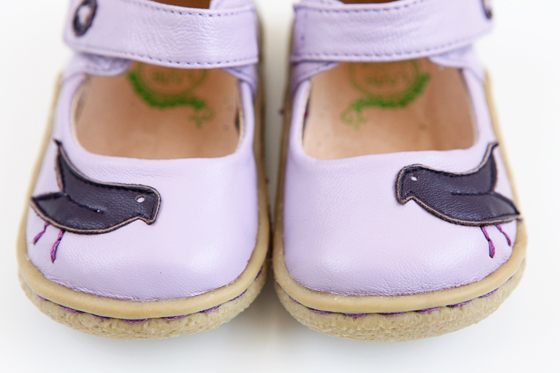 With spring around the corner, I thought it would be the perfect time to post pictures of Avery's little lavender Pio Pios from Livie & Luca. We actually got them last year and I don't think Livie & Luca makes them in lavender anymore, but they are available in a charming red and pink combo or sweet pink and green combo. Perfect for your little bird's spring wardrobe!